Starting today at CVS, get a $10 gift card when you spend $30 on select items. 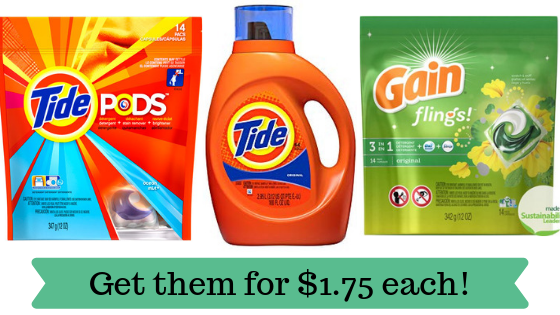 Follow the deal idea below to pick up Tide and Gain detergent for $1.75 each! –like getting it all for $8.75 or $1.75 ea.